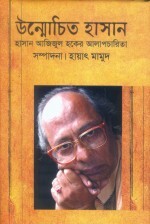 Unmochito Hasan is a collection of Hasan Azizul Haq's interviews. Haq is one of the most noted fiction writers of the country, who in his stories and novels has set a trend by portraying the harsh realities of the have-nots using a variety of literary techniques and experimentations. In these interviews, Haq who was a former teacher of philosophy at Rajshahi University, shares his views about literature, society and history; he also reflects on an author's commitment to a cause. Edited by Hayat Mamud, a prolific essay writer, the interviews are taken by writers such as Anupam Hasan, Kayes Ahmed, Ahmed Mustafa Kamal, Muhibul Aziz, Shahaduzzaman and Jafar Ahmed Rashed, among many others. 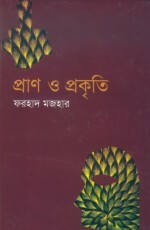 Sometimes bringing in the age old fun of rhythm and sometimes the music of a monologue, the poems of Shahabuddin Nagari does not create any ambiguous meanings instead some of the poems like "Robindronath Hobo" can be enjoyed by readers of all age. 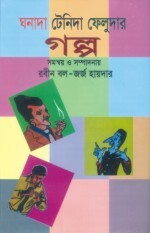 Many in the young generation would love to catch up with three of Bengali literature's most colourful characters – Ghanada, Tenida and Feluda. 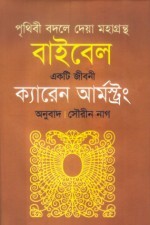 In this book some selected adventures of these three characters written by Premendo Mitra, Narayan Ganguly and Satyajit Roy respectively have been composed under one edition. 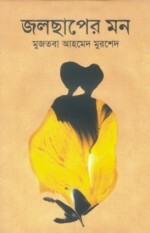 Although the three are quite different from each other, they share one common characteristic – they continue to attract readers of Bengali literature, who love adventure and mystery with a touch of humour. 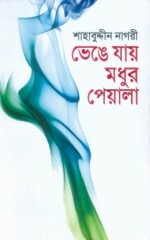 In Jolchhaper Mon, writer Mujtoba Ahmed Murshed, presents the readers with nine unique stories narrating the unusual lives and thoughts of some very ordinary people who come from different strata of the society. Written in light and easy language, each of the stories carries a deeper meaning and presents life from a different angle. A compilation of sixteen pre-published essays categorised in five broad headings - environment, agriculture and food, forest, water and climate - presents the relationship between man and nature in a new light. The writer, noted economist Farhad Mazhar, has been involved in the neo-agricultural revolution for the last three decades. Reporting on politics since the 90s, Naem Nizam, founding news reporter of ATN has shared his experience and expertise in this book. The book is aimed towards aspiring journalists who want to build up a career in media journalism. The fifty chapters include topics as diverse as how to start planning for a career in journalism to tips on taking interviews. Technical aspects of TV news coverage and presentation are detailed in the initial chapters. 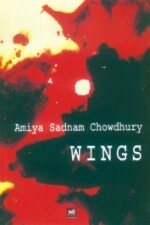 Highly praised by noted litterateur S. Manzoorul Islam, Professor of English, University of Dhaka, as 'a racy and witty' novel, Wings, though the first English fiction by the young writer Sadnam, holds the reader's attention till the end. The story is about an unusual experience of an Oxford based physicist, Arnab Hassan, who takes up the task of making a pair of wings for a rich industrialist, obsessed with the idea of flying. 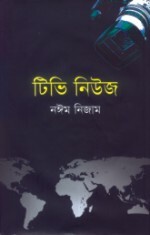 With a paper back cover and excellent printing and page quality the book itself creates its own space among other new arrivals in the Ekushey Boi mela. Historian Karen Armstrong critically analyses the world's most circulated transcript 'The Bible'. In her book, Armstrong describes the historic and social context in which Christianity's guide book, the Bible was compiled, and the later circumstances that influenced a transformation in the nature of interpretation of the Holy Book, and how many of its contents were changed owing to the interests of groups or individuals. An interesting read but shall most likely to stir some controversy. College student Babu who first made his appearance before comic lovers in 1985, has won everyone's heart with his wit and funny encounters. Shahrier Khan, cartoonist and Deputy Editor of the Daily Star, presents readers with about four dozen Babu Comics in the latest series available in the Ekushey Boi mela. Basic Ali, the cartoon character from the op-ed page of the daily Prothom Alo and another of Shahrier Khan's creation has consistently added a little drop of joy to the lives of the daily's subscribers, every single day sine 2006. This year, Panjeree brings in the 3rd compilation of the Basic Ali comics strips for readers. Cube is the third graphic novel by Shahrier Khan that tells the story of geologist Joy Ahmad who accidentally meets Gitto and comes in contact with a cube full of super power. Filled with adventure and thrill, the novel through its colourful illustrations enchants the readers till the very last page.